When it comes to being single and planning for or being in retirement, there are some upsides. Want to live near the beach? Do it. Want to live near the grandkids? Do it. The world is your oyster, and you won’t have to negotiate with anyone on where you want to be and how to spend your time. You’re also the master of your universe when it comes to financial planning. There’s no need to compromise on how you save, spend, and invest your money. Many married couples face challenges when one is a saver and the other is a spender. Or one might be risk-averse, while the other likes to speculate. You get the picture. The other side of the coin to being single in retirement is that financially there are more challenges. You’re going it alone. There’s only one income and savings stream to draw from, and expenses may be just as high as for a married couple. Just because one lives alone doesn't mean living expenses are 50% less than for a married couple. 1. Start by making a plan. Write down your budget now and what you expect your budget to be in retirement. How much can you save each month? Aim to save 10% to 15% of your monthly income toward retirement. 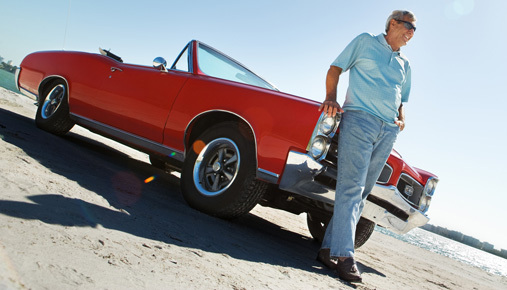 Calculate a goal: What is the total lump sum dollar amount that you hope to achieve by retirement? 2. Save regularly and invest. Cash won't deliver the returns you need. Talk with a retirement specialist about how you can invest your savings to reasonably expect to hit your target by your retirement date. In today's low interest rate environment, investors may need to consider more equity exposure in order to achieve retirement goals. 3. Understand what Social Security benefits you may be entitled to. If you’re a single who never married, you’ll only have access to one Social Security benefit based on your own work history. But those divorced (after being married for 10 years) or widowed may be able to apply for spousal benefits as well. Know what you’re entitled to. 4. Take full advantage of any tax-deferred savings accounts. These can include IRAs, 401(k)s, and even health savings accounts (HSAs), if eligible. A single person's income becomes subject to higher individual tax rates more quickly than a married couple’s. Singles need to fully maximize tax-advantaged savings vehicles to keep more of their income stream for the future. 5. Plan for potentially higher health care and retirement living expenses. Singles won't have the option of a spouse to care for them at home if needed later in life. Some married couples are able to live independently at home for longer thanks to the help of a spouse. Plan for the potential cost of a retirement community or assisted living earlier. 6. Singles need to protect their income stream in case of disability. Review your employer's disability insurance plan and consider how to supplement it if needed. Planning for a successful retirement is possible as a single, but you may need to save more, start earlier, and stick to your plan. The more you are able to focus and prioritize your goals, the higher the likelihood of success.